(Newser) – It's going to take two weeks to upload, and the table of contents will be 91 volumes alone, but Michael Mandiberg is determined to bring the project he tells the New York Times is "half utilitarian data visualization project, half absurdist poetic gesture" to fruition. 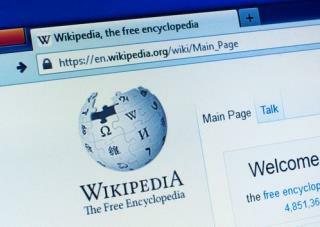 That project: to transform the English-language version of Wikipedia into a 7,600-volume book set. (Or at least symbolically start the process.) When his From Aaaaa! To ZZZap! exhibition got underway yesterday at NYC's Denny Gallery, a computer program began uploading the 11GB of compressed data to the print-on-demand site Lulu.com. 2 weeks!! I ain't got time for that! I'll just use GOOGLE for anything I want! It just FASTER! There ya go ALL!! Much of the info is incorrect.